Da Vinci’s Demons will return to Starz on October 24 with its third and final season. The network announced the series was cancelled over the summer, and there will not be a fourth season of the series starring Tom Riley. When the decision to cancel the series was made, many fans worried that the cancellation would cause the show to finish open-ended. After all, most of the production for the third season was complete when the decision was made. However, the cast went back to work and filmed more scenes that were filtered into the third season to give fans closure. Tom Riley spoke about the reshoots with Digital Spy. Check out a preview for the final season below. Are you sad that Da Vinci’s Demons is ending? Would you have watched a fourth season? Tell us what you think. 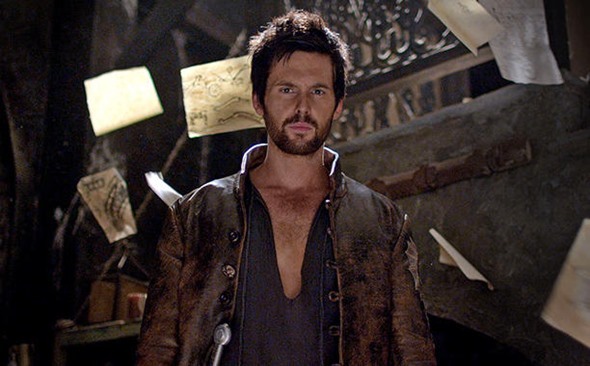 More about: Da Vinci's Demons, Da Vinci's Demons: canceled or renewed? YES I WOULD have watched 4th season it was getting really good I totally LOVE Tom in the role. Will miss the series. How many episodes in season 3? I cant believe that its ending it was a really good series that i thought had lots of promise and tom rileys portrayal of da vinci was really captivating definately in the same league as shows like the mentalist, House and such as. I think its a mistake to end it so soon. I began watching the series late in the second season. I watched the previous chapters in a binge. At first I reject the idea of Seeing Da Vinci as an action hero, but later on, the quality of the filming and the well structured story line stories really capture my attention. An excellent series. It’s a pity that is ending that soon. It will be so good to see this show again. 3 Seasons is still better than 2!